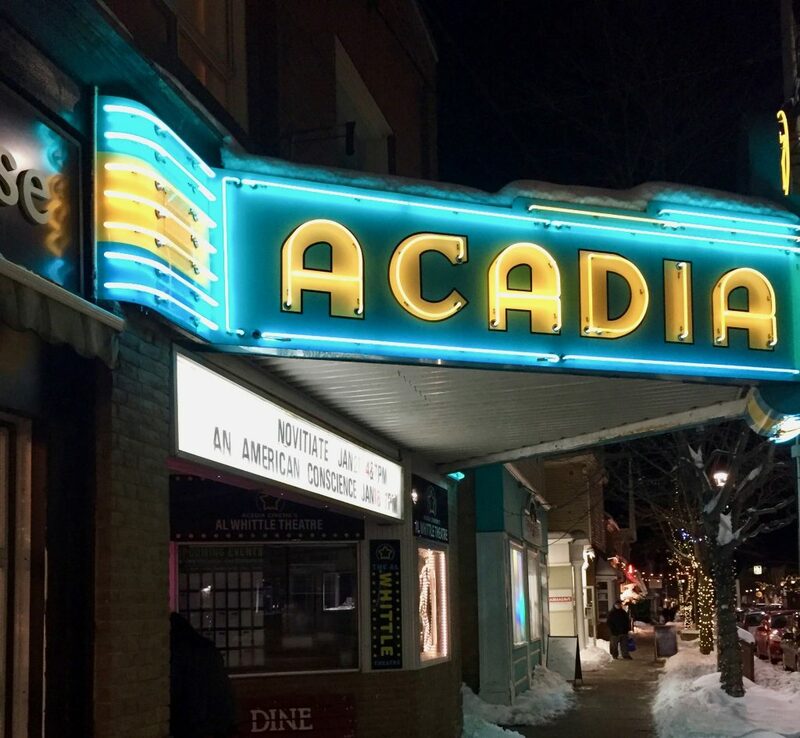 This was the question I was left pondering after last night’s faith and politics event, including a screening of the film An American Conscience about the life of public theologian Reinhold Niebuhr. 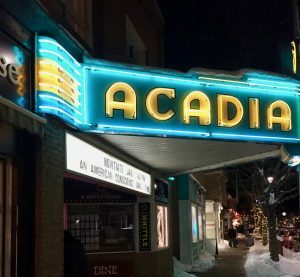 Dr. Andrew Biro, Head of Politics at Acadia, raised the question of whether Niebuhr (or anyone of faith, by implication) has anything helpful to say to the significant and tragic issues of our time, such as environmental destruction. Taking such a challenge seriously means first tackling the fact that the church has become largely sectarian in its approach to public issues. 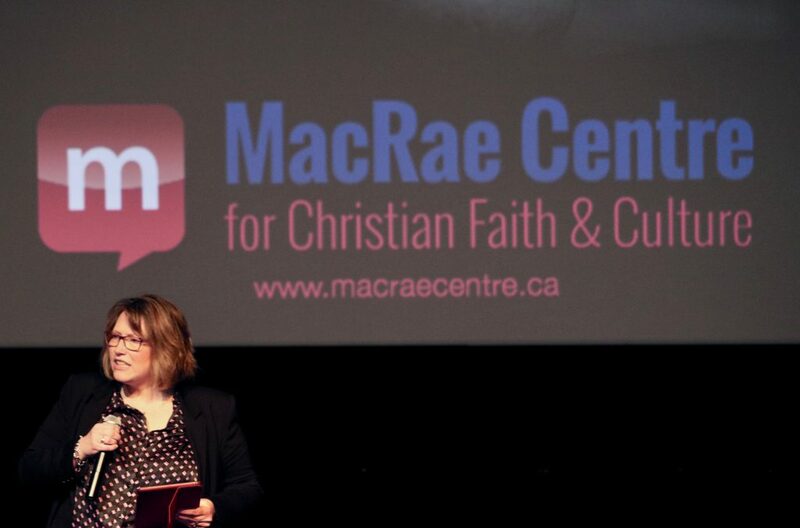 Moreover, a secular push to privatize faith has not been challenged, forcing political servants to hide their most basic commitments rather than finding support to work through the relationship of their faith to political life in more transparent ways. The result is that the profound resources of Christian wisdom and theology have had little to contribute to the common good in recent history. Too often, prophetic witness is exchanged for populist politics. Niebuhr gives Christians an alternative vision. Fuelled by a belief in the limits of humanity, and the grace and love of God, Niebuhr abandoned an early idealism and sought ways to apply justice to the ironies of history. While the love of God was directly applicable to society for the Social Gospel, for Niebuhr, the love of God in the cross of Christ always exceeded that of which humans were capable. Humility results from applying love as divisible justice to the world, because it would always fall short of God’s love. Nevertheless, God’s love challenges people to pursue ever better and greater forms of justice, and to work for an ever better world. Democracy is then the best arena for pursuing justice. To paraphrase Niebuhr, humanity’s capacity for justice makes democracy possible; our capacity for injustice makes democracy necessary. An open discussion followed the screening of the film. The question was raised as to whether faith and politics needs to be framed in this dialectic form to at all, given the long intertwining of the two in western history. I suggested that learning to negotiate the place of faith in a public space as democracy ferments will be crucial to the unweaving of Christian faith and politics in the west. At the same time, the dramatic and unexpected events of history can force the matter of religion to the fore of political life overnight. From the perspective of those with faith, we will need to own our responsibility to represent a long and deep wisdom for the common good, in plurality with others as part of a democratic society. The importance of creating public spaces for conversation about these and similar issues was highlighted by many who attended, both those with faith and without; from contexts of university, town, and politics. 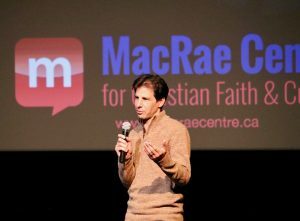 The MacRae Centre endeavours to forge public spaces where reasonable conversations on issues relevant to Christian faith may be held with respectful difference. If you would like to participate in future discussions, please sign up for our news and web notifications, and please consider supporting our work. PREVIOUS POST Don’t Miss Our Faith and Politics Evening! NEXT POST Settlers: Victims or Villains?